I love adding beaded garland around my home for just about every season of the year. I thought I would show you how to make a fall version today. 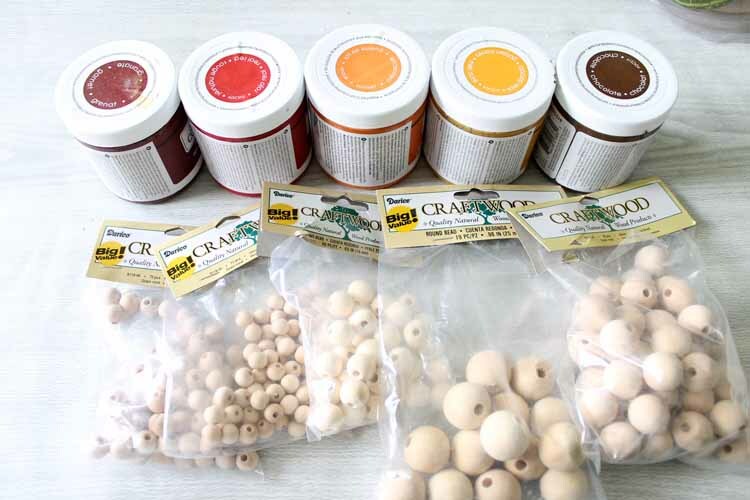 This simple technique involves plain wood beads but we are going to make them extra special with some color stain. Fall colors never looked so good! Some links below may be affiliate links which means that you do not pay anymore, however, this site will receive a small commission. 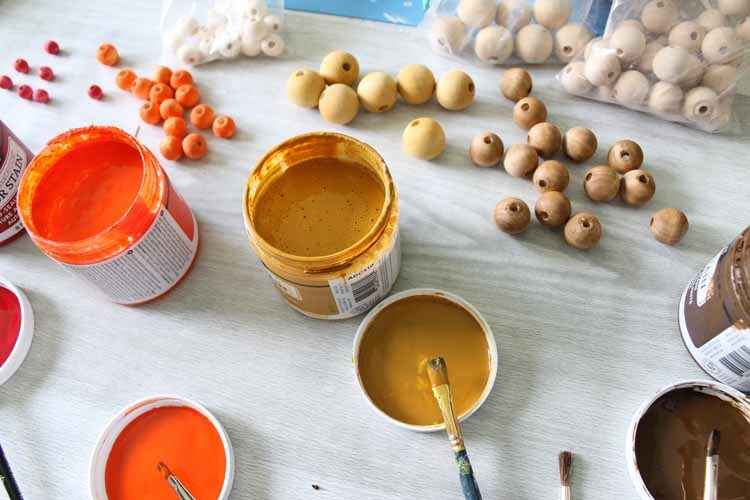 Start by staining your wood beads in a variety of colors. 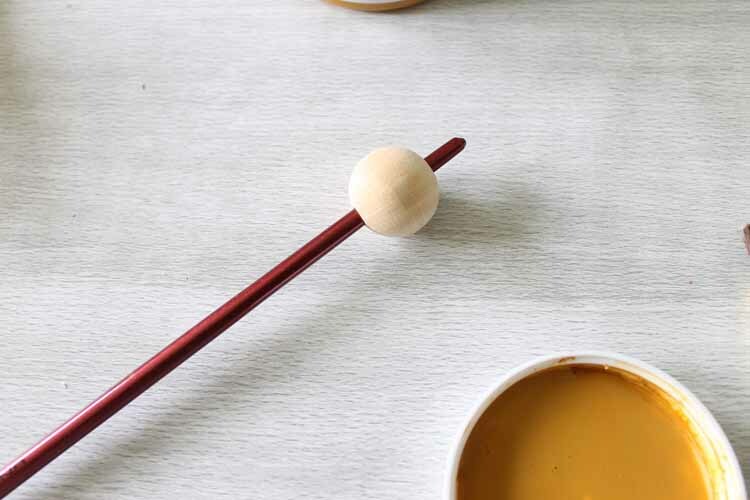 TIP: To keep the wood bead from moving while you are trying to paint on your stain, add it to the end of a paint brush as shown below. Press down into place and this will keep it still during painting. Then just stain away! I picked a color for each size of bead. Paint on the stain with a paint brush, allow to sit a few minutes, then wipe away any excess with a rag. 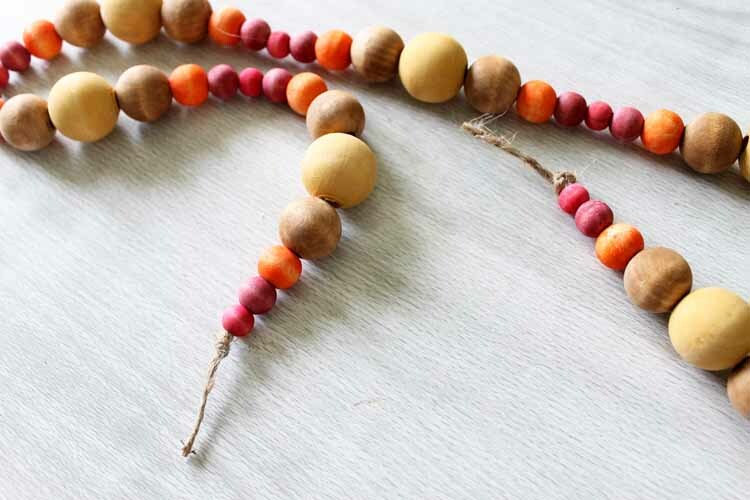 How many of each bead that you stain will depend on how long you would like your garland. You can do a few, string them, and then do some more if it is not long enough. They dry very quickly and are ready to add to your twine in minutes. 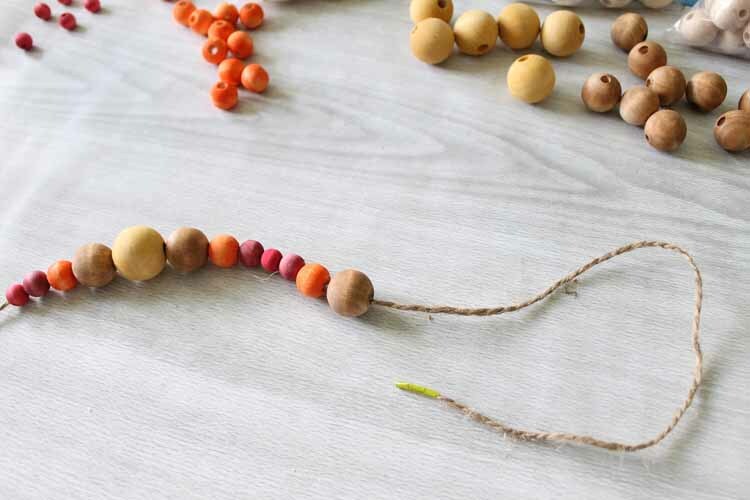 String your beaded garland however you like. I love this mixture of small and large beads but you can use all one size if that is what you like. Cut a piece of twine the length you would like for your garland and knot one end. TIP: Wrap the other end of the twine in tape to make it easy to thread into the holes of even the smallest beads. Just knot both ends of the jute once your beaded garland is complete and trim away any excess with scissors. Then all that is left is to figure out where to place this beauty in your home. 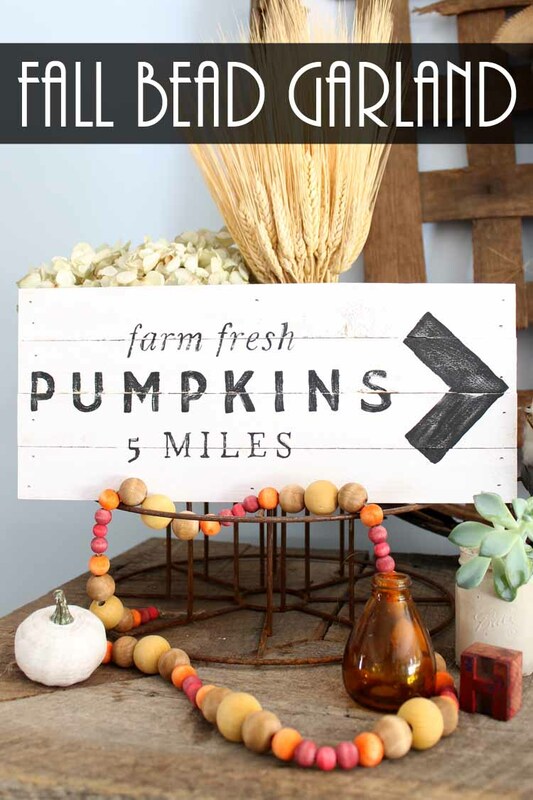 It will add a touch of fall to any room! 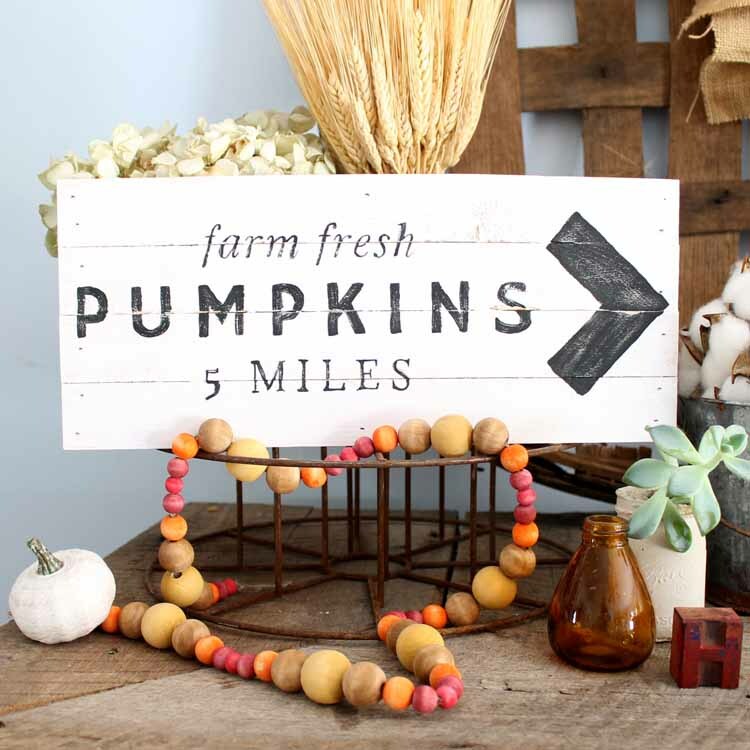 You might even want to make our pumpkin patch sign to go along with it. 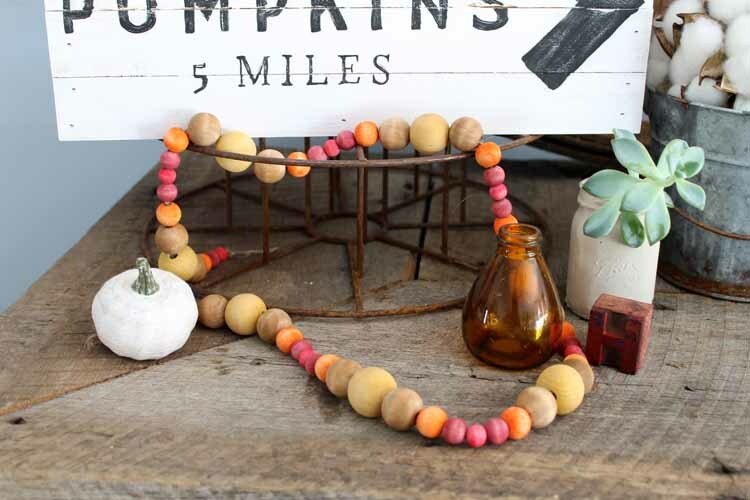 However you display it, you are sure to love this beaded garland this fall! 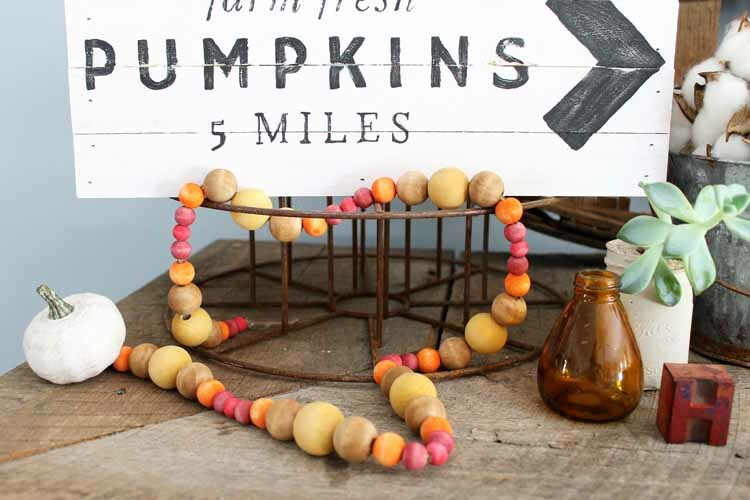 Love this beaded garland and want more ideas? Try the links below!